ACT Enterprise is Vanderbilt’s access control software solution. Looking back in time, the origins of this product was first called ACT5000. This was launched in 1996 and ran on Microsoft Dos. Building from this platform, ACTwin pro launched in 1998 as a sophisticated PC application for use with the ACTpro door controller. The software simplified database management and day-to-day administration of users and the access control system. While ACTwin pro was very successful, the market required a solution that was more scalable and easier to use. Thus, in 2010 work started on the concept that would bore ACT Enterprise. 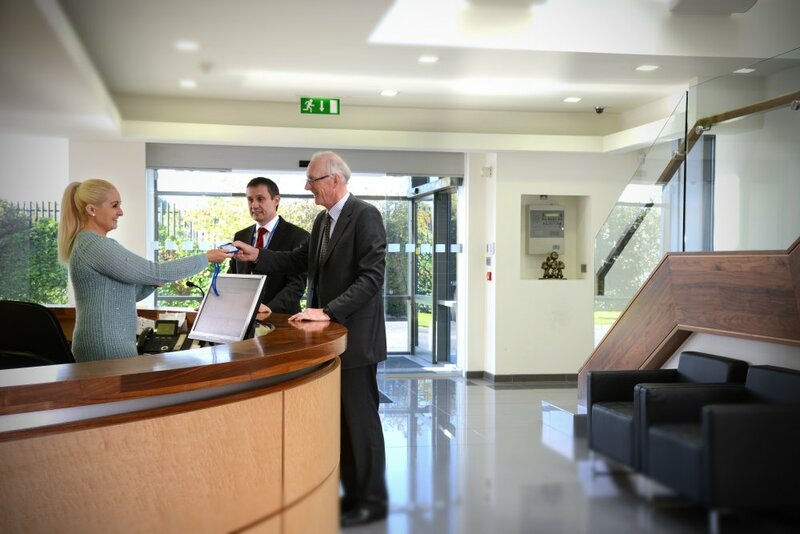 Based on customer feedback, one of the most important requirements for this next generation solution was an interface for the three main customer personas – these being the Security Installer, the HR or Security Manager; and the Security Guard at reception. In August 2012, ACT Enterprise launched in after two and a half years of development. Some prominent early customers for the access control software included football stadiums, large hospitals, and renowned universities in the UK. When ACT Enterprise was an early success for these large customers, the system was going to work anywhere. Interestingly, the early feedback from ACT Enterprise customers pin-pointed the usability of the system’s user interface as a key factor in its success. Over the years, a continuous pattern of extending and improving ACT Enterprise developed. The product added several new strings to its bow in the way of features and integrations. These included a plugin for Milestone DVRs, APR integrations, interfacing with KONE elevators, OSDP readers and Site Maps. The muster reporting and time and attendance features also add to the system’s strength and depth. One of the key developments in the market during the past decade has been the increase in responsibility for commercial managers. Today, they’re not just responsible for access control to their building, but also the health and safety of those entering it. ACT Enterprise helps capitalize on this development. So, why has ACT Enterprise been so successful? Because at its core, being scalable from a single door to thousands, it is still easy to install and easy to use.